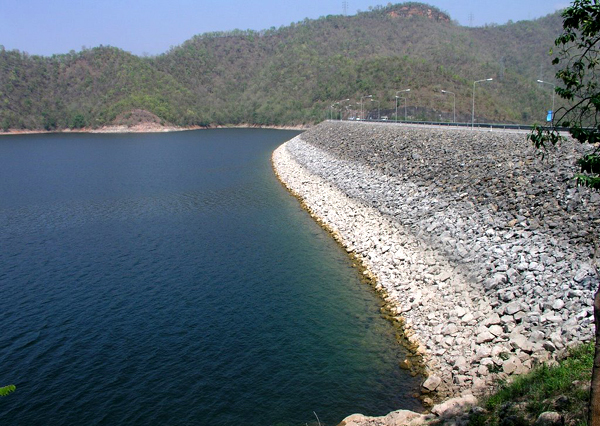 Srinakarin Dam was built in 1973 and the construction had been completed 7 years later. 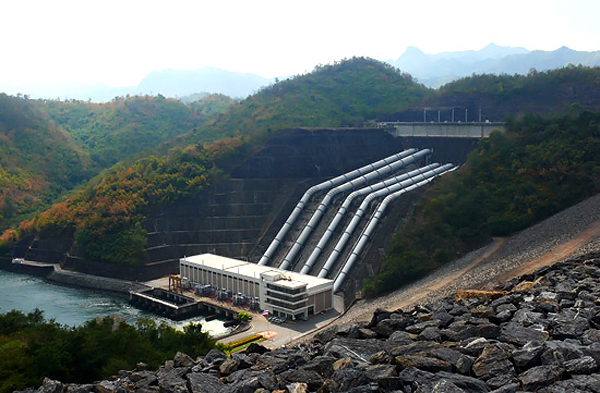 At first, the name of this dam is Chao Nen Dam, as built in the area of Chao Nen Village. 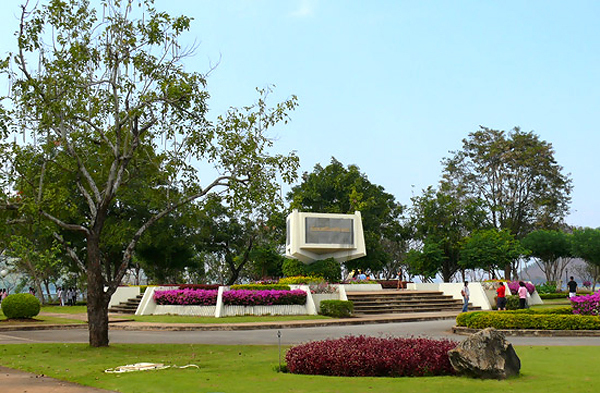 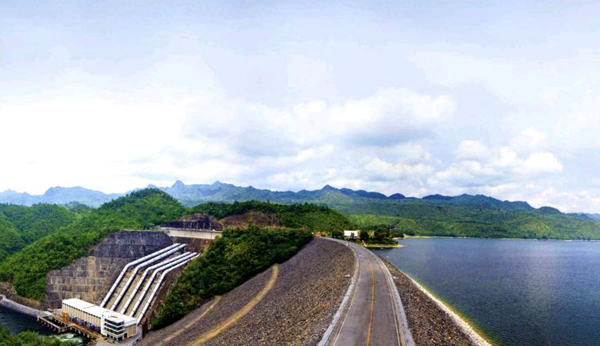 Then, on 15th Jun 1981, King Rama IX was renamed this dam to Srinakarin Dam, which has been used until today. 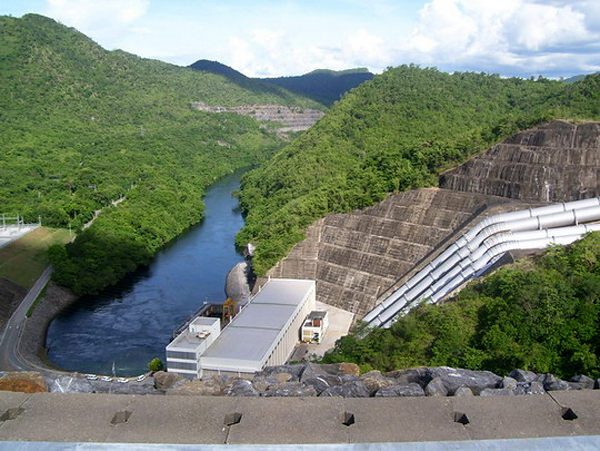 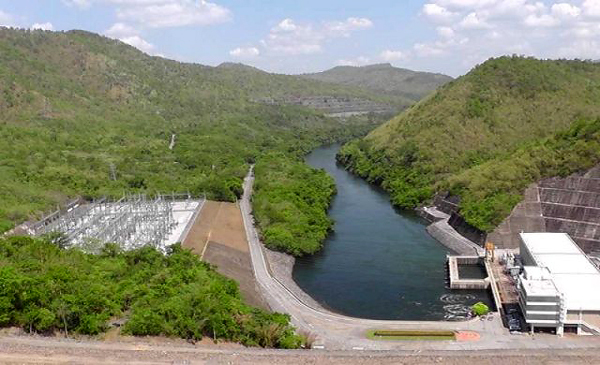 The main purpose of this dam is to be a river regulation and hydroelectric power generation. 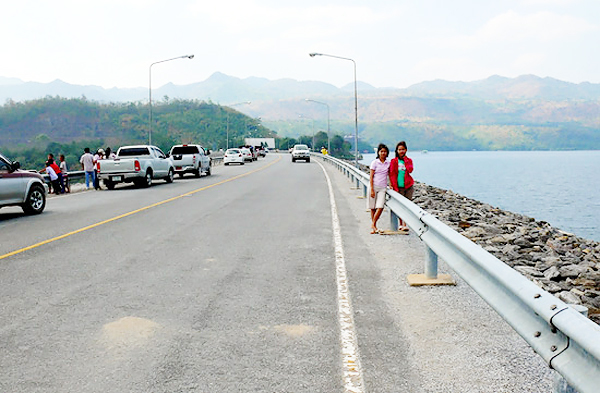 After the construction, there are noticeably less flooding problems from Mae Khlong River in the area. 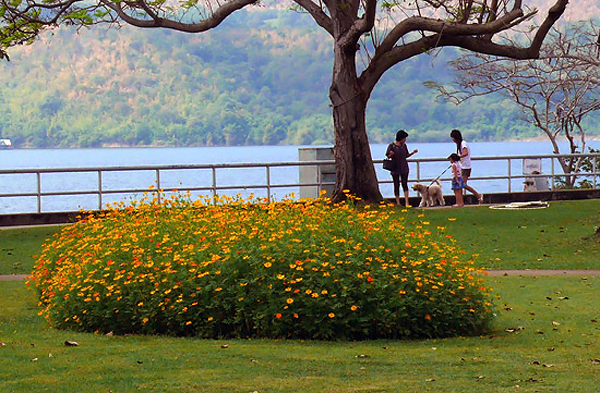 The area around the dam is well decorated with plants and structures. 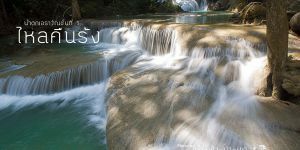 There is also a music area where a water turbine spins to perform the music, similar to what we can see in music box at a toy shop. 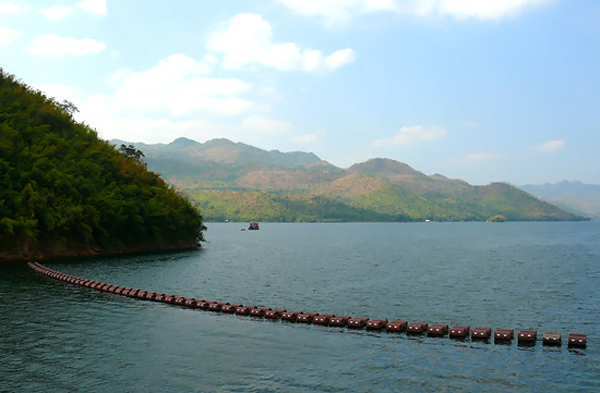 If visitors get up to the dam ridge, they will be able to see widely scene of the lake with mountains surrounded as its background. 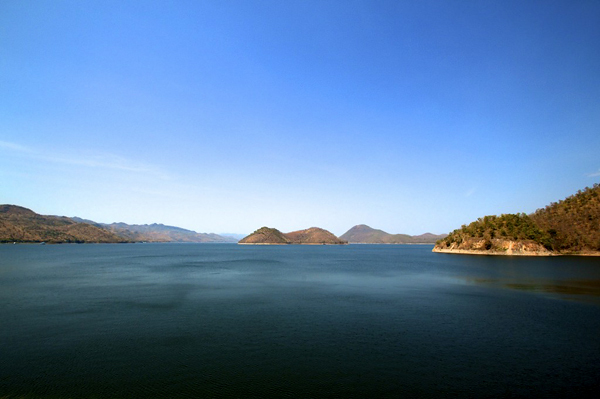 To get to Srinakarin Dam is not difficult, especially for visitors who has its own vehicle. 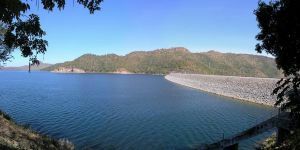 But for those who would like to take a public bus, they need to go to find one at Kanchanaburi Bus Terminal to get to the market near Srinakarin Dam. 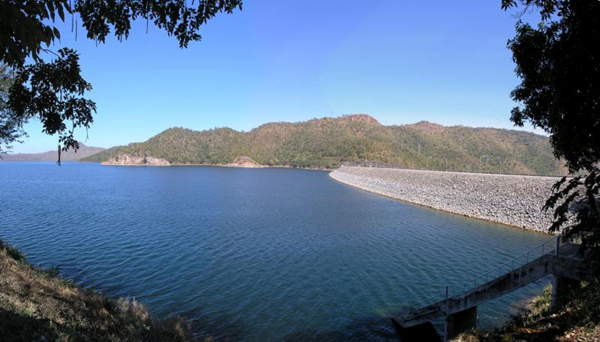 Then, hire a motorcycle taxi to get on the dam ridge.